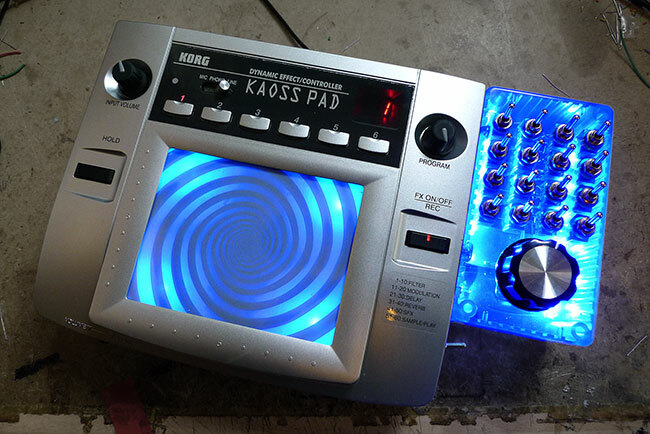 Way back in 1999 (its seems like longer) the Korg Kaoss Pad seemed like some kind of visitation from an alien technology. Visually, it looks fairly primitive today, but back then it was the first of its kind. 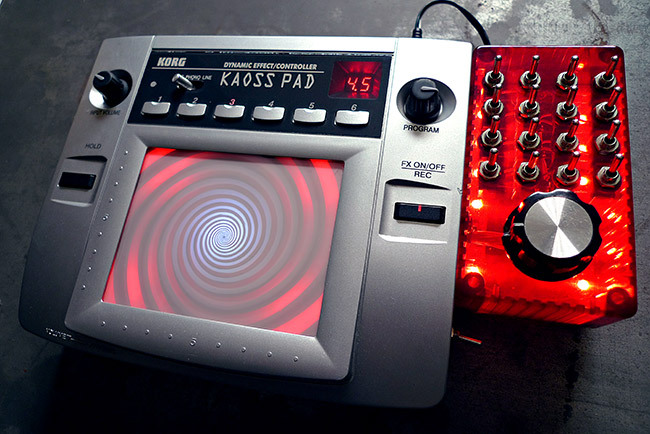 The technology was lifted straight from the Korg Z1, which was essentially a polyphonic Korg Prophecy released in 1997, but the KP1 was certainly the first stand alone effects device with a two axis touch pad controller. The standard mods DO NOT include adding a new backlit design or changing the colour of the LED's under the touch pad. See the optional extras section below if you want those mods. 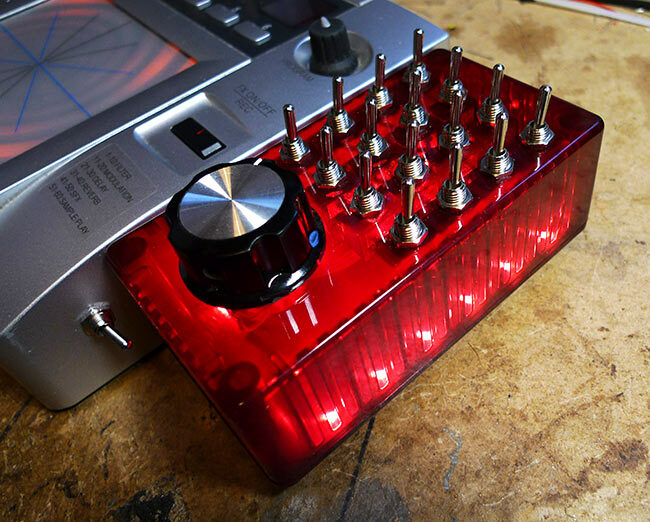 The control box houses a 16 way 'bend bus' switching matrix, and a clock speed knob. There is also another new switch mounted on the main casing just in front of the new control box which switches between the normal clock speed, and the new clock speed knob. The new clock speed knob controls the running speed of the onboard sample RAM. This means that it will control the playback speed of any samples, the length of both the delays and reverbs, and the depth of any other effects that use the sample RAM, such as flanging or chorus. 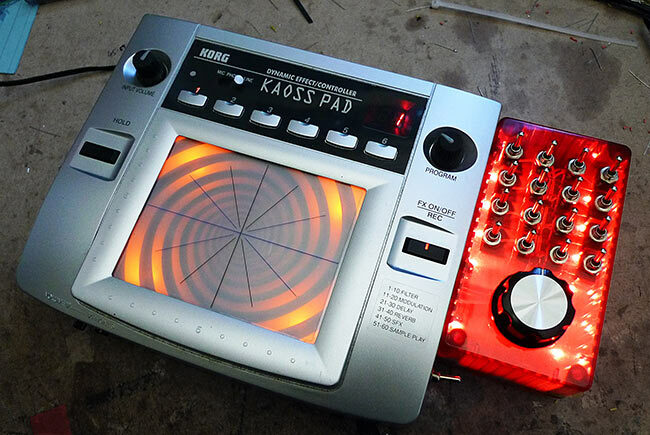 This works independently of any other effect or pad settings. The clock speed also appears to control the sample rate of the RAM. On the KP1 the clean input signal is always run though the A/D and D/A convertors before reaching the output as there is no true bypass. This means that even when there is no effect running, the clock speed knob will change the sample rate of the input signal. 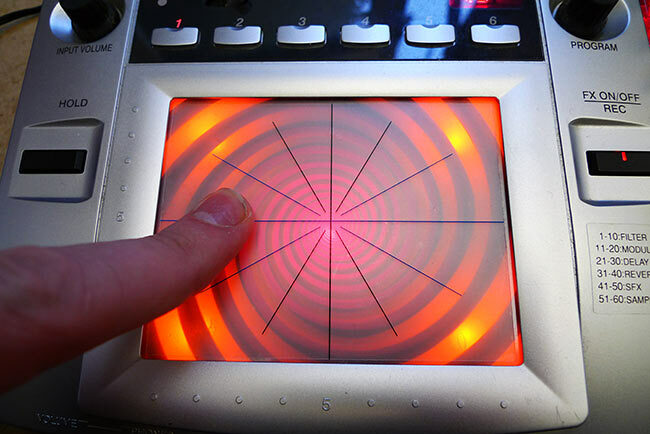 This allows you to take a normal input and take the sample rate down to give drum loops more punch and dirt, until at the bottom of the knobs range the input sounds like its playing back through some kind of underwater drug experience. The switch allows you to quickly switch back to the standard KP1 clock. Unlike many units that can be re-clocked in a similar way, on the KP1 you can freely switch between the standard clock speed and the new clock speed knob at any time, without the unit locking up or crashing. The 16 way bend bus switching matrix allows you to apply various kinds of comb filters, pseudo ring modulation, bit crushing, distortion, and what can only be described as audio smearing™ to any affect that uses the sample RAM in any respect. Each switch has a certain effect that is usually associated with it, although its effect can be altered depending on which other switches are activated simultaneously. You have to activate more than one switch at a time for any effect to work, but when two or more switches are activated their associated effects will combine to produce something entirely new. The demos below do tend to highlight the savagely brutal end of what this machine can do, but thats only because its more fun! It is very keen on distorting sounds way beyond the outer limits of what is strictly healthy, but it's also capable of producing a range of more subtle and sometimes strangely beautiful alien sounds. The unit may very occasionally crash and lock to one effect when you quickly change preset effects with the clock speed set low. For some reason this mainly happens with the filter effects, but with a little practise it is completely avoidable and simply restarting the thing resets it. Below are some demos of what this machine is now capable of. The first is a fairly long and brutal destruction of a very simple pattern supplied by a Yamaha RM1X. 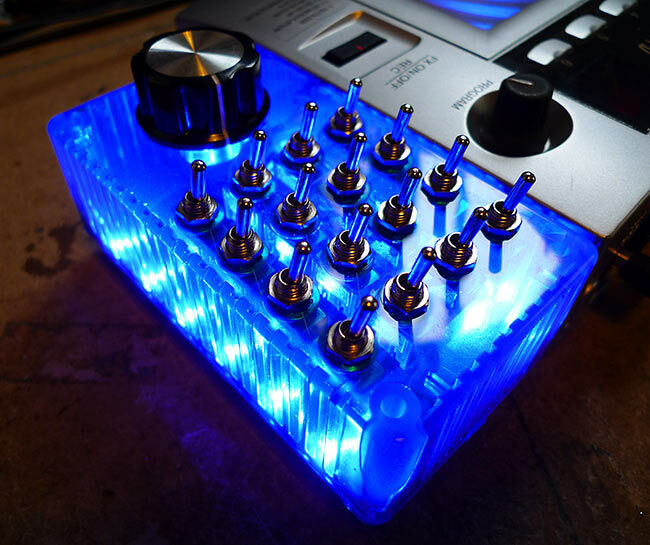 The second demonstrates what can be done to delays, and shows what can be created by the unit itself without an input when the mods are applied to the reverb effects. The third demo is the result of processing a breakbeat, again from a RM1X. The fourth is a stereo ambience and the final demo is a continuation of the first, only with more of a bad trip feel to it. Red corner LED's and a blue centre LED. Standard orange corners, and red central LED, with cross hairs sticker and spiral backing. 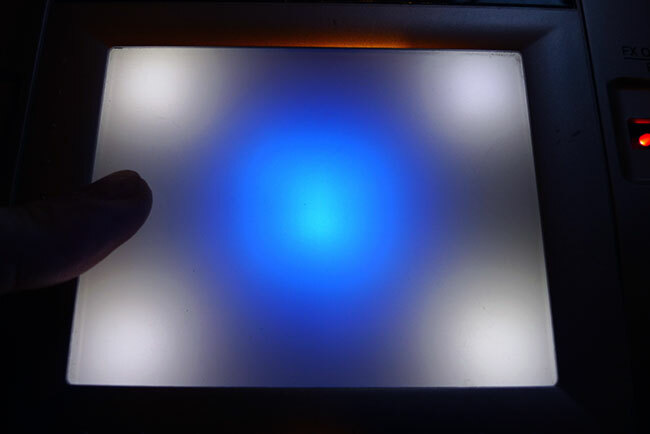 Blue corners, and white central LED with spiral backing. 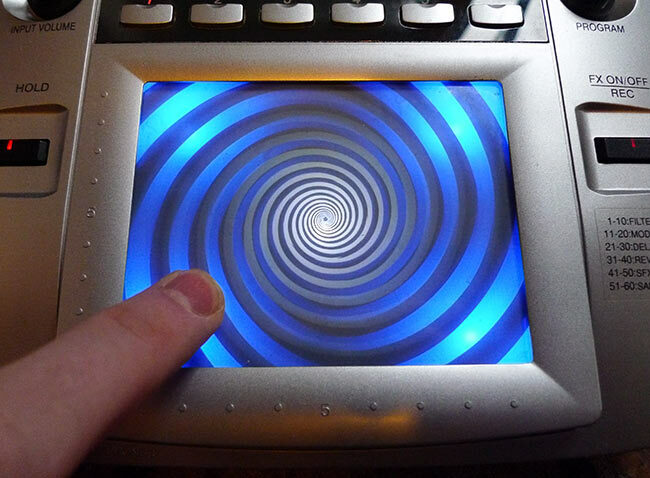 If you don't want to supply your own image, the default is the spiral shown above. If you want your own image you should bear in mind that it should be as simple as possible, as complex images will just turn into a mess. 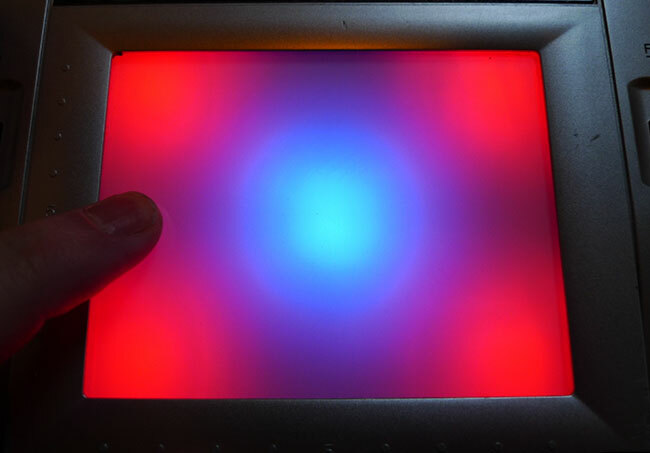 The problem is due to the positioning of the LED's, and the fact that the image is on the back of the glass pad projecting various shadows from different light sources onto the touch sensitive surface on the front of the glass. This means that you do tend to get some messy results with complex images. As you can see from the images above, you tend to get better results with a lighter LED in the centre position and darker ones on the outside. 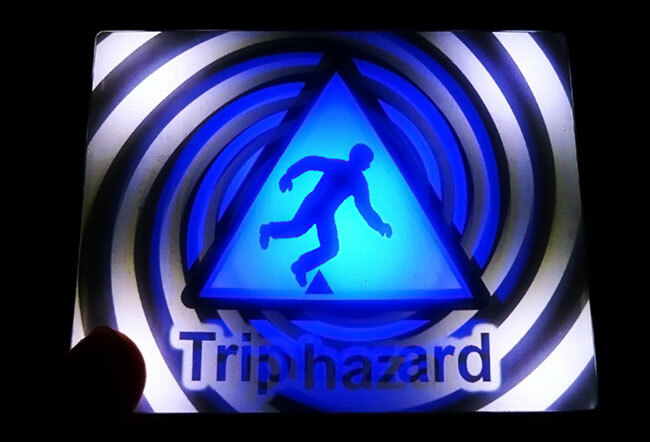 The 'Trip hazard' image below worked quite well with the strange shadows, but the bottom image just turned into a mess. We'd probably recommend a two tone black & white image without shading, and with a minimal design. 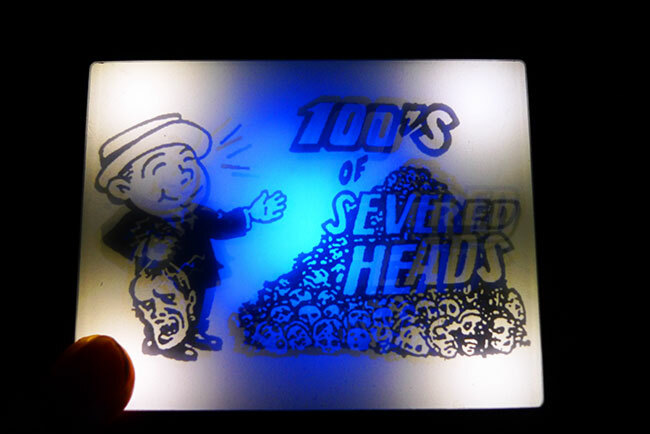 This one didn't work quite so well due to an overly complex design and a darker central LED causing odd messy shadows on the top surface. If you want to produce your own image you can download a 300dpi guide frame to fit it into from HERE. 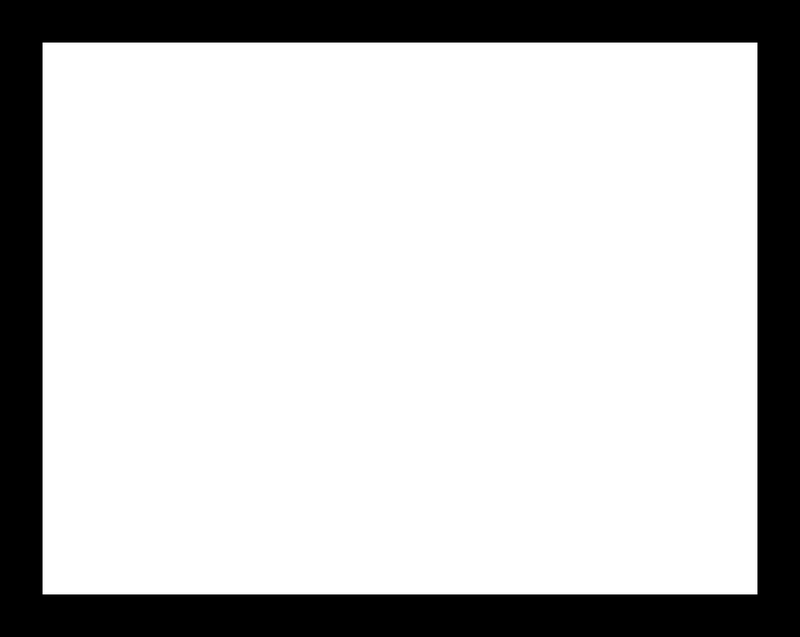 The white area within the black border is the visible surface of the touch pad. Please position your image within the white area, leaving the black frame in place as it acts as a framing guide for us. MODIFICATION DEAL: Get all the mods installed on your KP1 at the same time for £160, a saving of £10 on the normal price. If you want your KP1 modded please get in touch via the CONTACT form.